India has given us a clear example of a money shortage, and of how it can lead to a recession. Money shortages can also be created by bank runs, by government restrictions on money issuance by private banks, and by central banks pursuing tight money policies. Unfortunately, textbooks never discuss money shortages. Instead, they claim that recessions are caused by reductions in "aggregate demand", which is a vague name for a vague thing. Hi Mike, sounds very Nick Rowe-like. I'm not convinced we'll see a recession in India. We'll have to see how the data plays itself out over the next few months. "with 24 billion pieces needing to be printed, there simply wasn't enough time"
"Modi's demonetization team might have been able to avoid at least some of this mess by procuring a supply of several billion worth of stickers or stamps. Some of these could have been printed and hoarded by the government in the months prior to November 8, the rest could have been printed on demand after the announcement date"
Did you intend such a substantial difference in the order of magnitude here? Why not 24 billion in stamps if the printing process is that much easier? Would much less than that have solved the problem? Good eye, you've caught a mistake. That being said, I don't think 24 billion stamps would be necessary since a small batch of already-printed notes and an ongoing stream of newly-printed notes would meet at least some of the demand for conversions. Firstly I like your posts as they are quite informative. This one is quite interesting as well. I am just posting my thoughts here. Because it is a counterfactual we will never know. 1. India has seen a stamp paper counterfeiting stamp. That scale was massive too. So it is possible stamps could be forged as well despite some level of security features. I understand your comment about anti-counterfeit design but smaller the stamp easier it is. Further stamped currency stays in circulation longer than 50 days so time required to counterfeit stamp would be easier. Older notes can be thereafter stamped. You may be underestimating the ingenuity of Indians to counterfeit or subvert these processes. 2. Effort wise it would have resulted into the same. Here ATMs could be deployed whereas for stamps there it must be done using branches. 3. The cash mafia in India is well-rooted. You would have seen the same stamp doles to VIPs as happened with the notes. 4. The quantum of effort - geographical spread of the country and making them do it twice would have made it a big problem. 1. Yes, agreed. And as you say, the longer the stamped currency stays outstanding the higher the odds of counterfeiting. 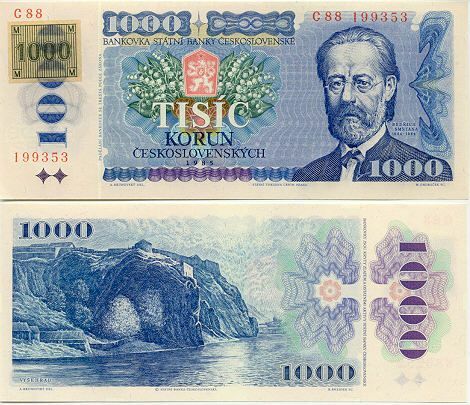 The Czech/Slovak scheme removed stamped currency in August 1993, around 6-7 months after the demonetization. Perhaps this speed could be improved upon by a determined Indian government. 3. Yes, there would be many of the same problems. 4. Yes, the effort is done twice. 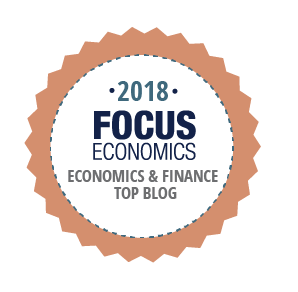 Although there is a duplication of effort (initial demonetization and removal of stamped money) and a risk of counterfeiting, you need to balance this against the fact that the re-circulation of old stamped money would solve the cash shortage problem--which according to many reports is causing macroeconomic damage. Of course, perhaps the administration designed the whole process to include a severe shortage... in order to increase the chances that more Indians adopt digital money alternatives. Ultimate test is "did it work". It is surely the most interesting experiment in recent times. There will definitely be a lot of lessons from this.